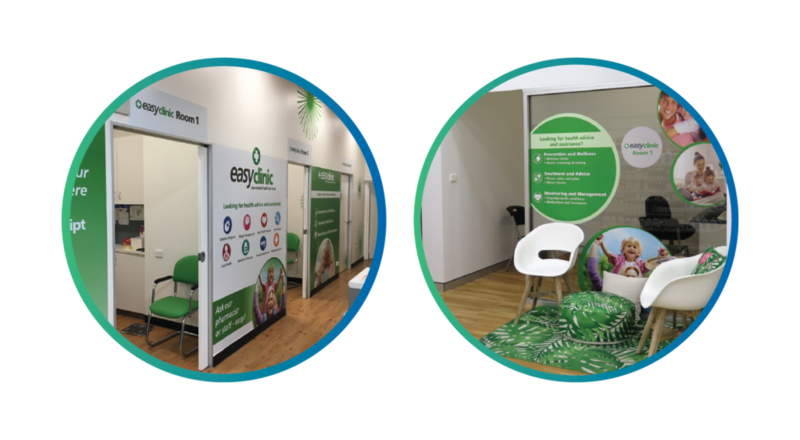 EasyClinic is an end-to-end professional services solution that allows pharmacies to create a destination and deliver professional services that improve the health of your customers in a financially-viable way. Regardless of your current level of implementation, our industry experts will help you to understand the key opportunities for your business, providing the tools, assistance and marketing to implement, promote and grow your professional health services. 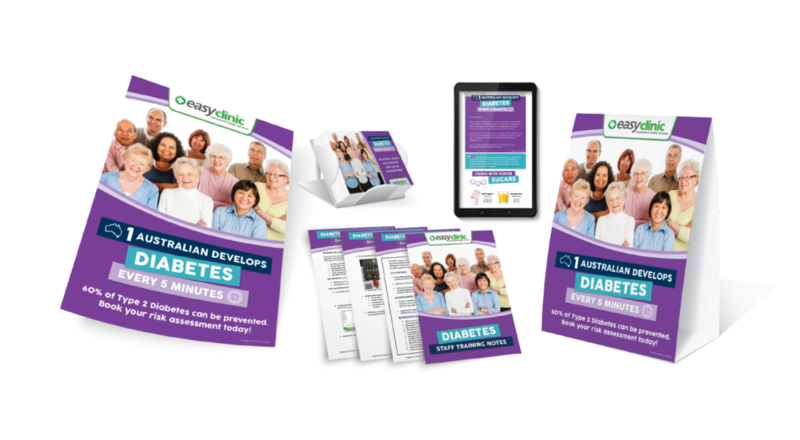 EasyClinic provides you with a suite of resources to communicate to your customers and your local allied health professionals. These supporting materials help to add value and ‘theatre’ to your professional services offering. Two-thirds of pharmacy customers don’t know that their pharmacy offers health services, so it’s critical to promote services to increase uptake. At the same time, health services need to look professional and engaging, with a fit-for-purpose consultation area or clinic room. Our EasyClinic coaches help you set up your space effectively and promote what you do. We can also provide in-store signage and branding assistance to ensure a professional and consistent message for your customers. The Health Solution program provides turn-key professional solution packs that provide everything needed to run a pharmacist-led clinic event or health promotion, delivered to your pharmacy six times a year. Detailed, practical and effective staff training resources are included to ensure implementation is successful. In addition to easy to implement staff training notes and videos, your EasyClinic program provides you with ongoing support from instigo’s team of Professional Services Advisors, who are just a phone call or email away. Call instigo now on (02) 9248 2609 or fill in the form at the right for your complimentary, obligation-free 1 hour assessment and consultation.